Marvin has been in the electrical field since 1973. He is a Master Electrician who is licensed in Kentucky, Ohio, Indiana and Tennessee. Marvin is the past president of the Latonia Business Association. 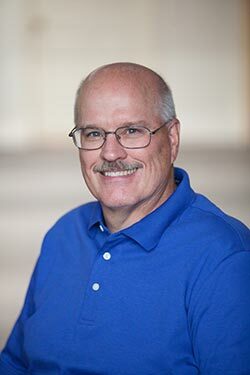 He is also a past board member of the Covington Business Council, International Electrical Inspector Association, Northern Kentucky Home Builders Association, Turners Athletic Society and the Knights of Columbus. Marvin is a graduate of Covington Catholic High School and attended OCAS. He currently lives in Ft. Mitchell with his wife Karen. They have three adult children and seven wonderful grandchildren. He enjoys boating, camping and fishing. He is an avid guitar player and a Fender enthusiast. Mike was born in Northern Kentucky and graduated from Holy Cross in 1966. He started his 50 year lifetime career in HVAC with B&B Heating, Plumbing and Air Conditioning in Covington. He holds his Master license in HVAC in Kentucky and Ohio. 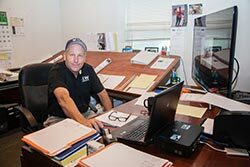 He enjoys the HVAC business and all the facets of the Mechanical Commercial and Residential business. Mike and his loving wife Jenny call Fort Wright home. Mike has 3 grown children and 3 magnificent grandchildren. Mike enjoys golfing, fishing and is a huge Red's, Bengals and UK basketball fan. He is passionate to follow his grandson in youth basketball and baseball and also watching his God-daughter play volleyball and basketball for Cincinnati State plus following the career of his nephew as Head Golf Pro at Twin Oaks Golf Course. Karen was born in Covington and attended Covington LaSallette High School before moving on to complete her college education at Catherine Spaulding and Thomas More colleges. Karen and her husband Marvin Wischer started KW Mechanical, Inc. in the basement of their home in October of 1987.Â As KW Mechanical continued to grow, the business moved into temporary locations before settling into their current building on 32nd Street. Outside of KW Mechanical, Karen continues to be civically involved; she serves on the Mother of God Parish Pastoral Council, and is President of the Ladies Alter Society.Â Additionally, Karen served as a Parish Kitchen board member for six years. Outside of KW Mechanical, Karen enjoys spending time with her three children and seven grandchildren. 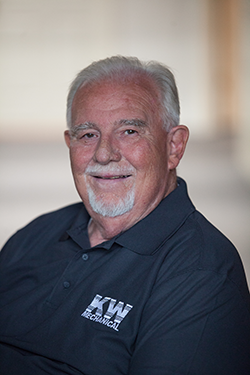 Dennis Moore started with KW Mechanical in 2004 installing water heaters in our Plumbing Service Department. In 2008, Dennis went to our Commercial Plumbing division to work, where he holds a City of Cincinnati and KY Journeyman license & KY Backflow license. In June of 2016 Dennis switched back over to Plumbing Service to run our Service division. Dennis is married to Tonya and has 2 daughters and 1 grandson, which he adores, he enjoys hunting and fishing and spending quality with his family. 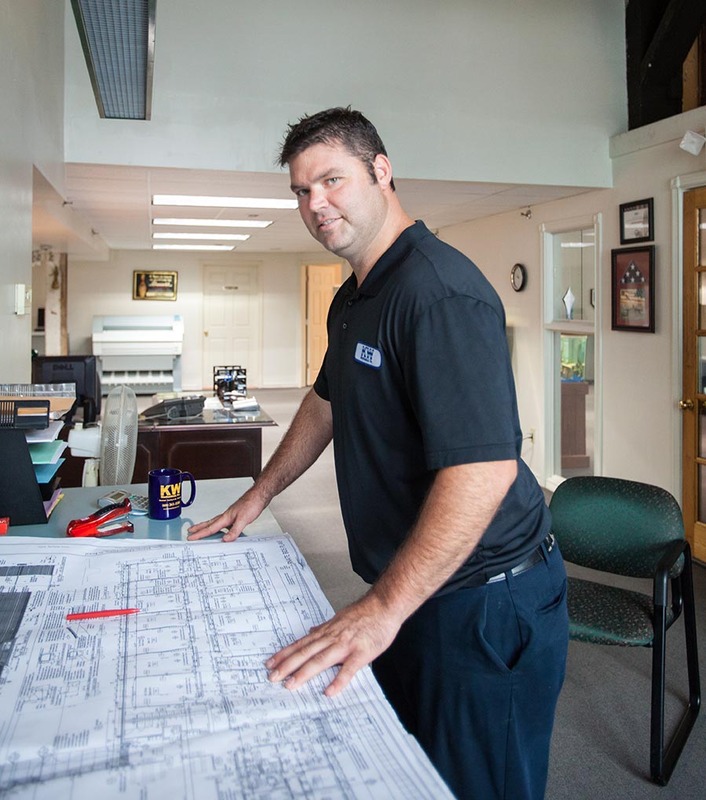 Rich MacKnight was raised here in Northern Kentucky, he came to KW Mechanical in 2000 after working for B&B Heating, Plumbing and Air Conditioning for 13 years. 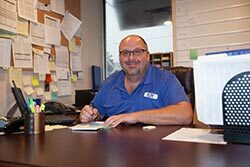 Rich started the Plumbing Division here at KW Mechanical when he came in 2000, he holds a City of Cincinnati & KY Journeyman license, KY Master License, State of Ohio & Indiana Contractors license, KY Boiler license, Federal Medical Gas license and a KY Backflow license. Rich is married to his lovely wife Sharon and they have 1 son named Richie, he enjoys spending quality time with his family and hunting/fishing in his spare time. 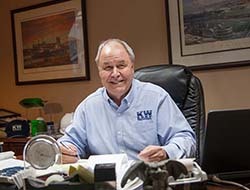 Jim is the Operations and Business Development Manager at KW Mechnical.